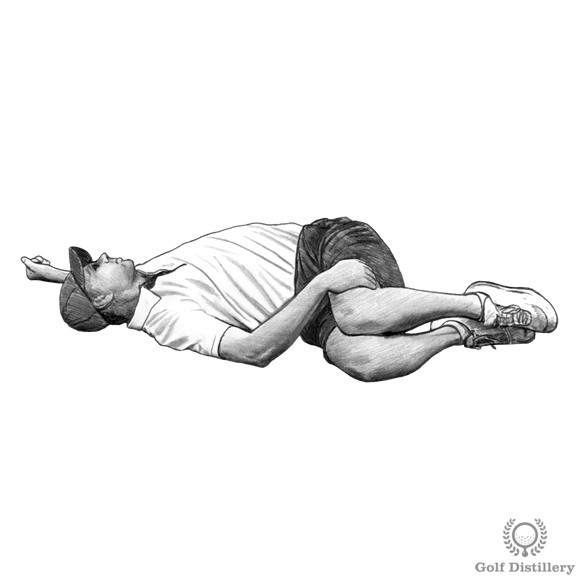 The golf stretches below form part of a golf stretching program that is suitable for golfers of every ability. You’re able to make a fuller, more powerful swing – so your shot distance improves. 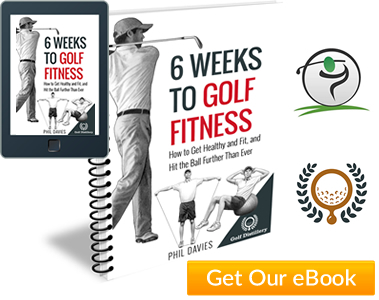 You’re able to comfortably get your body into key positions – so the mechanics and efficiency of your golf swing improves. 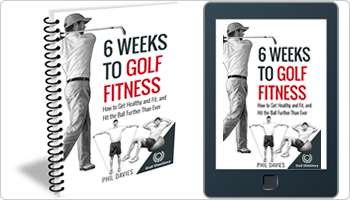 You become more aware of your body and have more control over fine movements – so the consistency of your golf swing improves. 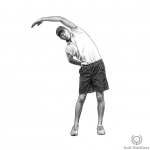 And because the right golf stretches help to balance your body and posture, you become less susceptible to those nagging injuries that stop you playing golf at all. 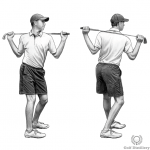 Standing up, clasp hands behind lower back with arms relaxed. 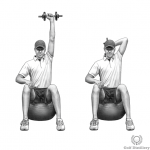 Squeeze shoulder blades together and try to straighten and raise arms. 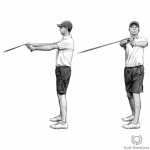 Avoid tipping forward at the waist. 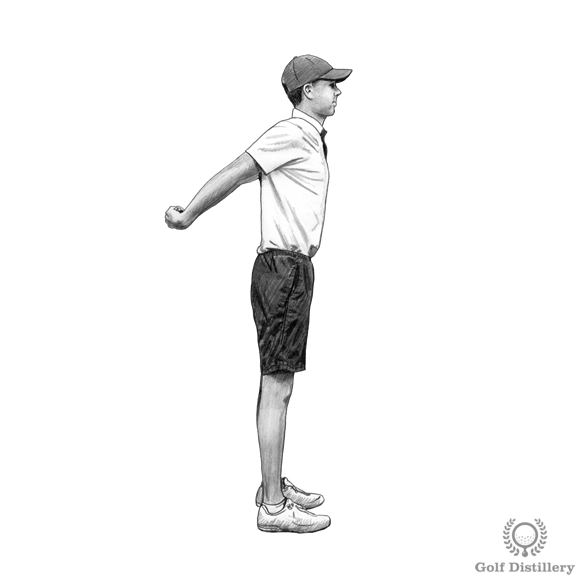 Standing up, place one arm across chest, support elbow with opposite forearm. Keeping arm straight, push elbow into chest with opposite forearm until a stretch is felt in the shoulder. Hold for seconds and repeat for the other arm. 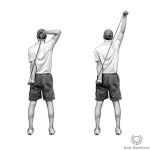 Standing up, place right arm by side and left up in the air as though asking a question. 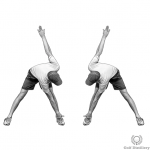 Slide your right arm down your right thigh allowing left arm to gently bend over head. Hold for 30 seconds and repeat for the opposite side. 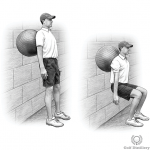 You can use a bar or chair to hold on to with your left if balance prevents a proper stretch. Lie flat on back, legs outstretched, arms out in a crucifix position. 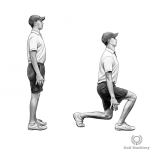 Keeping knees together, bring both knees into chest and twist knees to the left. Knees should remain bent at right angles and both shoulders should stay in contact with floor. Use left arm to gently push knees towards floor until a comfortable stretch is felt. Hold for 30 seconds and repeat to other side. 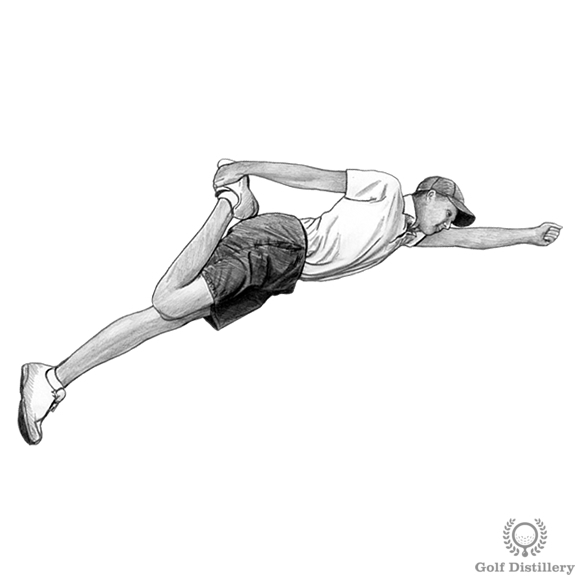 Lie on your side, grab right ankle and pull into buttocks. Push hips forward slightly until a stretch is felt in the right thigh.